At Fence Builders West Palm Beach, our fence company offers the best fence repair services in WPB, Florida. Our commitment is to you, the customer. We want to ensure that your fence repair is cost defective and done in a timely manner. After a hurricane or strong storm, making sure your fence is in good shape is a must. Give us a call to come out and do a proper fence inspection and make sure your fencing is perfect. If scruffy keeps getting out, you need our fence repair services. We can make sure there are no holes on the bottoms of the fence or slots missing where your beloved dog can escape. If you have a security fence and need to beef it up, we are happy to make sure it is in tip top shape. Call Fence Builders West Palm today for a free fence repair estimate, and have piece of mind knowing that your fence is in good conditions throughout. We will try to repair any fence, even if it is not in good condition. 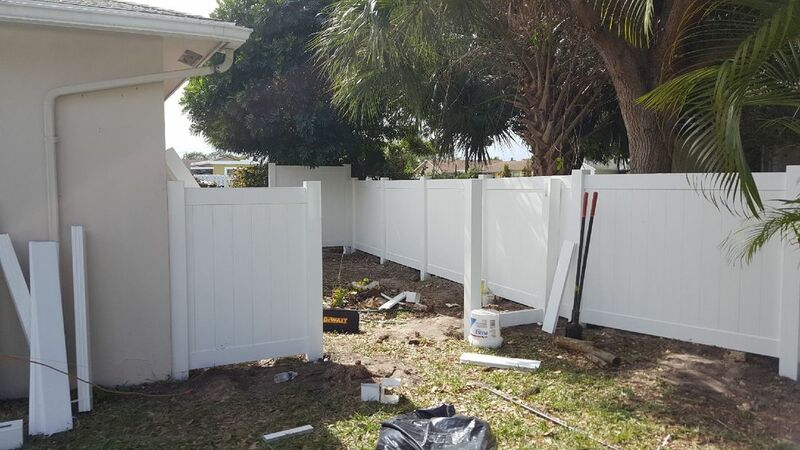 We will only tell you that you need to do a new fence installation in West Palm Beach if there is absolutely no way that we can possibly repair the fence. Has your fence suffered damage from a recent thunderstorm? Perhaps your fence was damaged from a hurricane or tornado. Did someone drive their car into your fence, or did the lawn mower go into your fence? Has your dog chewed a hole in your fence? There are plentiful reasons for needing a fence repair, and regardless of your reason, Fence Builders West Palm Beach is here to offer you the best fence repair service! The last thing anyone wants is damage done to their personal property. It does not matter if it is residential property or commercial property—damage is never any fun, and it can be extremely stressful. Fence Builders West Palm Beach is staffed with fence experts who are able to repair your fence back to its former glory! We understand how stressful a damaged fence can be. From the threatened security to the lack of privacy, and a damaged fence can be a real eye sore. No one wants that, and we certainly do not want that for our customers! Fence Builders West Palm Beach understands that sometimes life happens, and sometimes life happens to your fence. That is why Fence Builders West Palm Beach offers the most professional fence repair service in West Palm Beach, FL. Our fence repair team is staffed with fence building experts with an eye for detail who will come out to your property (residential or commercial) to assess the damage. Unlike other fencing companies, we will do our best to repair the damaged fence, rather than try to sell you a new one. 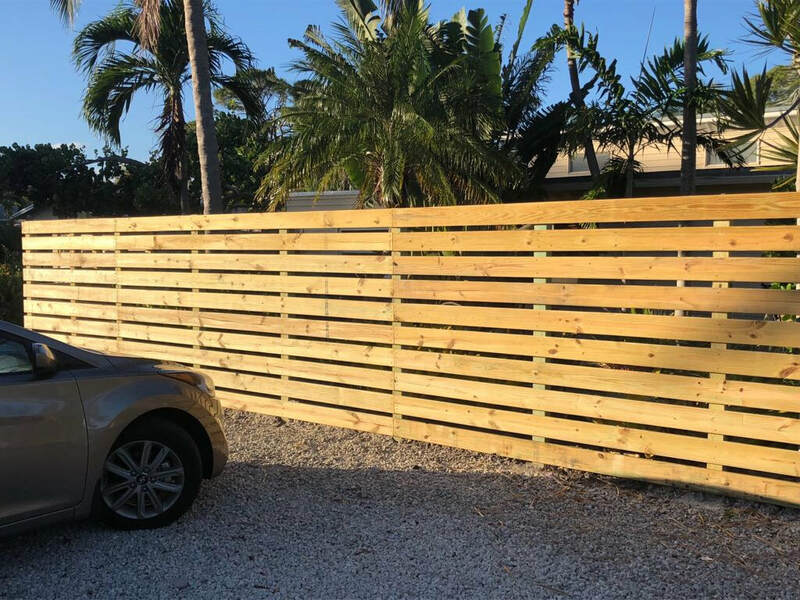 Fence Builders West Palm Beach wants to ensure complete customer satisfaction, and wants to keep the fence repair process as simple as possible. Are you concerned that your fence repair will not match the rest of your fence? If you hire Fence Builders West Palm Beach for your professional fence repair, you will never to have worry about that! Our fully staffed, expert fence repair team will do everything in their power to make the fence repair looks just as good as the rest of your fence. We have no limitations on what material your fence had, we will make the repair. We will color match your fence materials as well—a service that helps us ensure your fence looks like it did before the incident. As with our fence installation services, Fence Builders West Palm Beach will pull any permits for state, county, or city, and receive any special permissions from HOA or other communities. A broken fence can be very stressful, and we aim to keep this process as simple as possible for you!